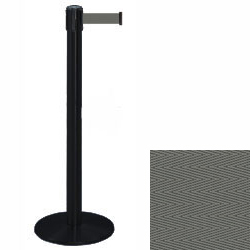 These stanchions with retractable gray belt have a strong metal construction that makes them an excellent choice for high traffic environments. Create lines and organize crowds in a number of locations such as restaurants, retail stores and event venues. 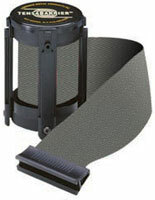 The stanchions with gray belt feature a round weighted base and a 4-way adapter on top that allows them to connect to up to three other poles. Each pole measures 38" tall and comes with a 13' long strap for efficient crowd control with fewer posts. 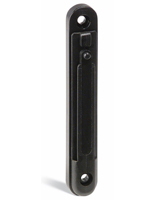 With the stanchions' neutral satin black finish, they will fit in anywhere.